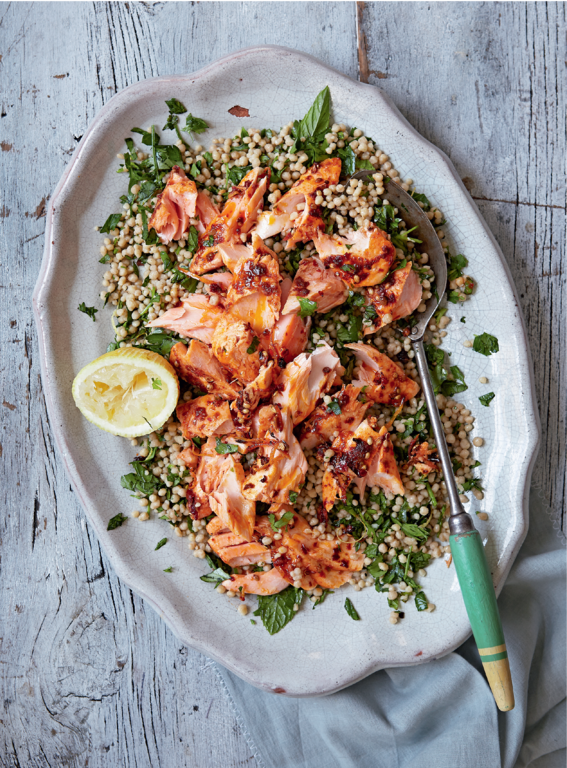 Enjoy the warming, chilli kick of harissa in this simple and delicious roast salmon dish. The giant couscous beads absorb the lemony dressing, giving you little bursts of flavour with every bite. 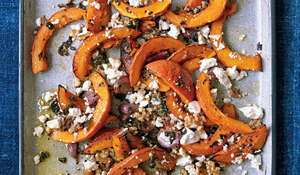 Perfect for a healthy and easy-to-make weeknight dinner. Salmon is an oily fish that is packed with flavour, which makes it a great choice for partnering the chilli kick of harissa. Rose harissa has a more fragrant flavour than regular harissa but either would work well here. The beads of giant couscous absorb their lemony dressing, making them little flavour bombs. Mix the harissa with the crushed coriander seeds and half the lemon zest. Rub this mixture all over the salmon and lay it on a baking sheet. Leave in a cool place to marinate for 30 minutes (or longer if you have time). Heat the oven to 170°C/325°F/gas 3. Place the salmon in the heated oven and roast for 10–12 minutes until just cooked through. 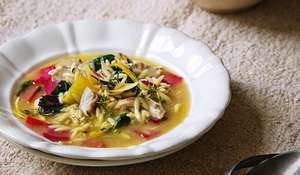 Meanwhile, bring the stock to a simmer in a large pan, add the couscous and cook for 6–8 minutes until tender. Drain and tip into a large bowl. Cool slightly, then toss with the remaining lemon zest, the lemon juice, oil and herbs. Season well with salt and pepper. 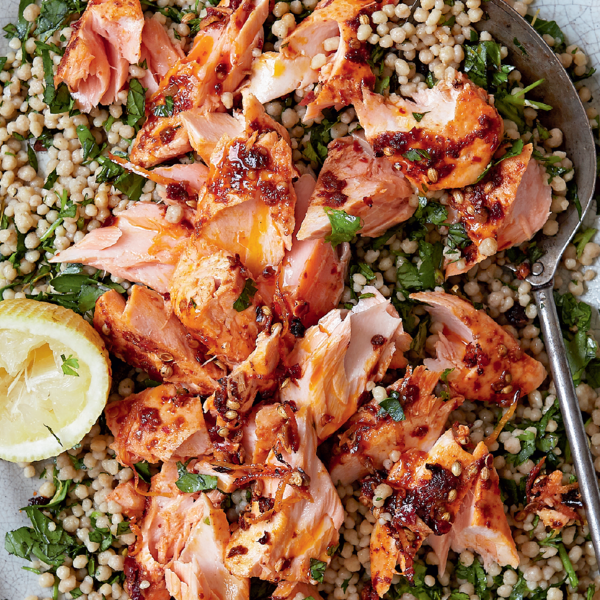 Flake the salmon over the top of the couscous, and serve. 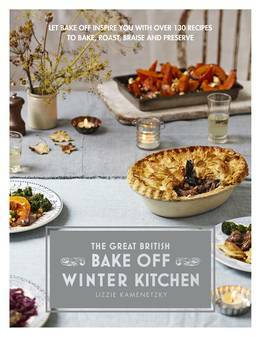 The Great British Bake Off book of winter - over 130 gloriously seasonal recipes.